It's Me! Mario! Joining the Nendoroids! 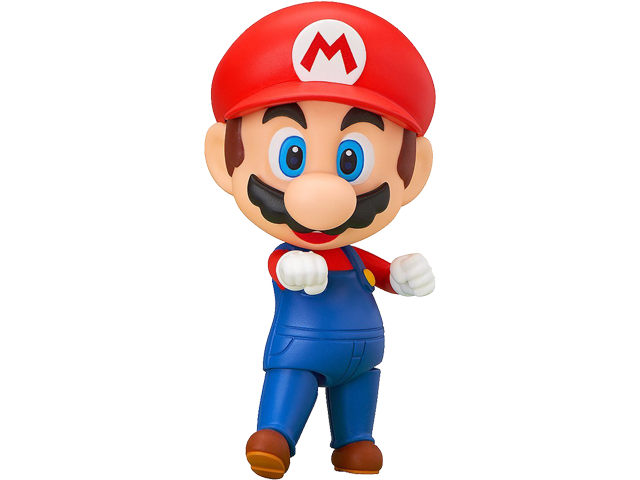 From the Super Mario™ world comes a Nendoroid of Mario™ himself, following on from the previously released Nendoroid Luigi™! He comes with both a smile and a serious expression, as well as various optional parts that bring out the world of Mario, such as some block parts, a coin and a Super Mushroom! 'Brake' parts for when he suddenly stops as well as dash parts for running are both included, and a background to display behind him is also included. He also comes with two enemies to display with him - a Buzzy Beetle and a Boo, which allow for all sorts of fun scenes from the game to be recreated in Nendoroid size! Some crossed arm parts for use on Nendoroid Luigi are also included, allowing for a classic pose of the Mario Brothers together! Bring out the Super Mario World in your collection!